We are a home grown cosmetics company that strives to help our environment and our community. We employ single moms that have a hard time finding employment around their children’s schedule, and allow them to be creative and inventive. We value our employees input in the creative process. My name is Tonya. I’m the owner and founder of Calla Lily Cosmetics, a sister company to the Calla Lily Salon & Spa. I have over 30 years experience as a beautician. In those years, I have used countless product lines. There are so many great companies, so why would I start my own? 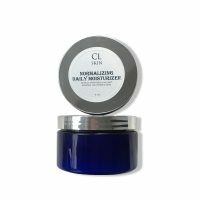 I am passionate about great skin, healthy shiny hair, and make up that is non-irritating, and I could not find a product line that embodied that. But, if I did manage to find one, the product was discontinued soon after I fell in love. I have naturally curly hair and wanted a cream that would enhance my curls, but not weigh them down. Thus, I created Curl Addict. I had extremely dry feet, my heels would crack and bleed. I tried every thing I could, from athlete’s foot product to extreme hydration products, but nothing seemed to work. I dug back through my essential oils and started studying again. I wanted something that dealt with both fungi and dry skin. I created Herbal Therapy Healing Balm, and it soon took off, flying off my shelf faster than I could make it. 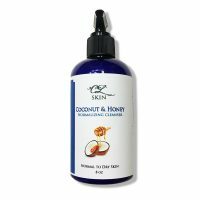 We received feed back that is was working on eczema, psoriasis, bug bites, and irritated skin. I was ecstatic others could enjoy the same relief and benefits I did. Having a hard time finding a line that remained classic for brides, I started my own Makeup line in 2006. I wanted highly pigmented colors that maintain healthy skin, and mineral make up that photographed well and lasted through a special event. I began my hunt for a good manufacturer (i tried pressing my own and found it to be to much for me), I wanted a product that was of the highest quality and was all natural, all mineral and utilized botanicals. I have spent the last 10 years developing my brand with this premise in mind. 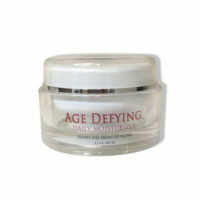 All products are mixed in small batches to insure consistency and freshness. 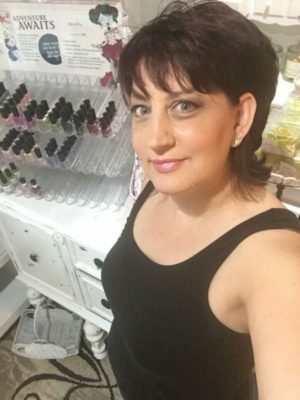 I myself handcraft all of the skincare, body care, hair care and the blooming beauty nail polish line here at the Calla Lily in a small lab. Our mission is different then others, but here it is. I want to see young woman, single moms, and stay at home moms have a place to find themselves, have a place to work around their available hours, learn new skills, explore their talents, and create new things. My small salon is a place where I can have these woman work with me around their schedule. We also make our own boxes, labels, flyers, displays and write our own blogs, and social media posts. In a world of latch key kids, I believe that it’s wonderful when mom can stay home and take care of the children. Although I understand that is not for everyone, nor do I think every one has the same role, I want to support those who do want to stay home, but also need a little extra cash around being a mommy, or young woman who are in school and can only work odd hours. Proverbs 31:18: “She perceives that her merchandise is profitable. Our clients are our #1 priority; please feel free to drop us a line. We welcome your feed back.